"Your Northeast GA Mountain Connection". 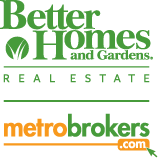 Our mission is to make YOUR Buying or Selling a Home a Pleasure." Teri, Thanks again so much for being our REALTOR! Through this whole process of selling our Sky Valley home, it’s been a pleasure working with you. You were very helpful, thorough and professional. You did a lot more for us than expected and got us out of a few jams. I especially think of the windstorm that fell a tree on the house. I really appreciate how you were immediately on top of things, and how you kept me informed every step of the way in having the tree removed and arranging for temporary repairs. Our house was built for my parent’s retirement in 1979, and has been in our family since, for about 35 years. I hate to see it go, we have fond memories, but is for the best. We appreciate everything you did in making this happen. You are a great REALTOR, and would recommend your services to anyone who needs one. Honesty regarding true value/market selling price versus listing high and having to reduce the price. You did all you could. The market is horrible and very unpredictable. The update letters you sent are important, but like best the voice to voice contact. The best customer service feature was “Going to bat” for me and seeing everything through to a successful closing!